Okay, so this is sort of a part 2 to my last blog post, so if you didn’t read that, click here to do so, because this won’t make that much sense if you don’t. Or maybe it will be more interesting that way. It’s up to you. I received MANY offers to come and bathe in people’s homes over the past two weeks, which is weirdly lovely because I’m choosing to believe that these offers were politely humorous and not at all creepy. Life is better that way. But one of my favorite reactions came from a girl we’ll call Bertrude (because she wanted a pseudonym that is “old and makes you think of hand knit scarves and fresh baked cookies”) who I met recently and am now mildly obsessed with for reasons that I feel should already be obvious. Anyway, I was at work when I heard someone come in and say that she needed to speak with me. FRIENDS. 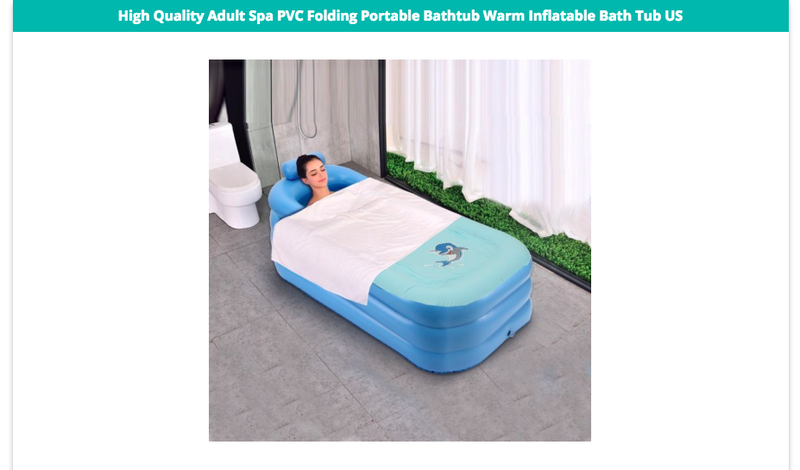 THEY MAKE INFLATABLE BATH TUBS. Do you realize what this means??? I clearly need more friends like Bertrude. JUST THINK OF ALL THE POSSIBILITIES!!!! So… I think we’re at a stalemate. Unless… we could convince him that this is actually a GREAT IDEA. What do you think? Leave a comment down below with your vote. Unfortunately the bathtub pictured above is out of stock, but I’m sure we could find others. In fact, if you know of one, please drop the link in a comment when you vote! P.S. I also just realized that there is a narwhal on that bathtub and now I need it even more. P.P.S. Bertrude’s boyfriend has entered the scene and apparently while he was in Sweden this summer he found THIS bucket posing as a bathtub and now I don’t know what to do.